Interactive live experience of products was at the centre of an exploration area larger than 700 m2. 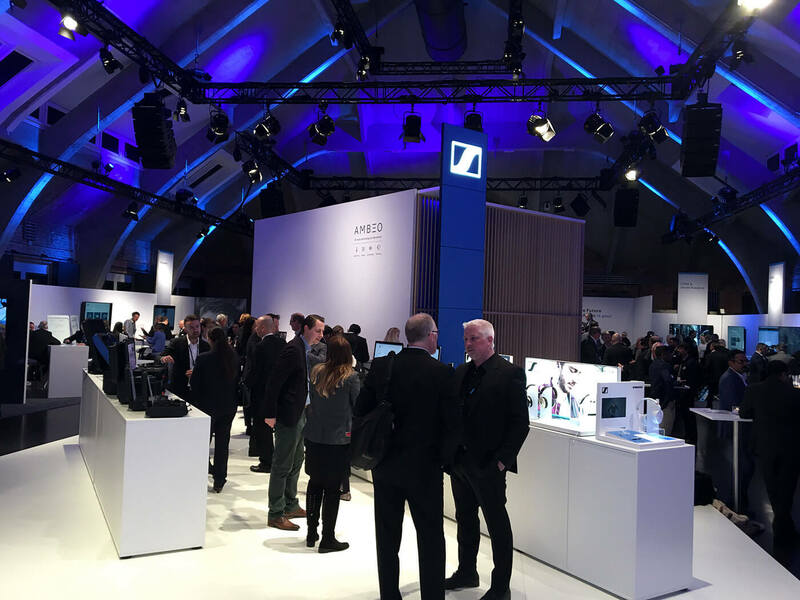 Sennheiser presented new product developments in various ways. Numerous highlights like an elaborate Ambeo Cube made intensive experiences of products possible. This year, the completely redesigned exhibition area was considerably used. This was greatly due to new event formats that took place there—these included an innovation talk and a communicative evening event.